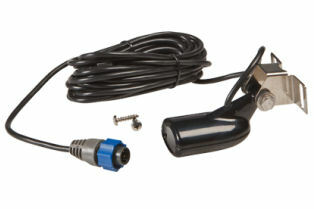 HST-WSBL Depth transducer, MFG# 106-72, 83/200KHz, 20° beam angle, with temperature sensor. Transom mount "Skimmer". Includes 20' cable with Blue connector.